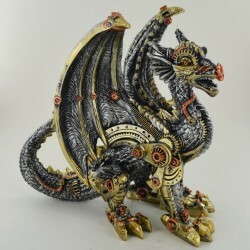 Detailed steampunk dragon. Unique figurine for display. Solid Cold cast resin with bronze and silver finish.